That means that, if you have an actor/performer profile on the site, you’ll want to make some updates. 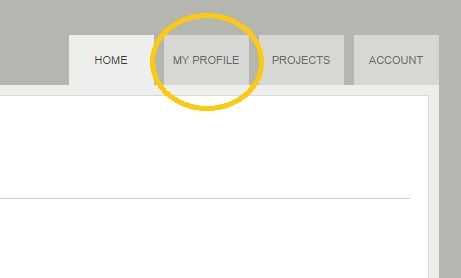 We’re going page by page in your profile and feature by feature. You can get the full list in the original announcement. If you went through the previous article, you saved updates to the Basic Information page. 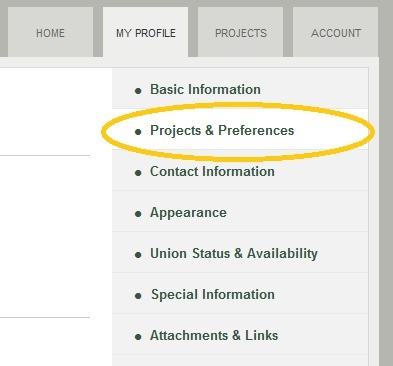 Either method, you should then see the Projects and Preferences page, which has three sections. The first is the “Logline.” Just as any film, from The Godfather to Attack of the Killer Tomatoes can be summarized in one sentence, this is your opportunity to summarize yourself. You are limited to 200 characters: slightly more than a tweet. 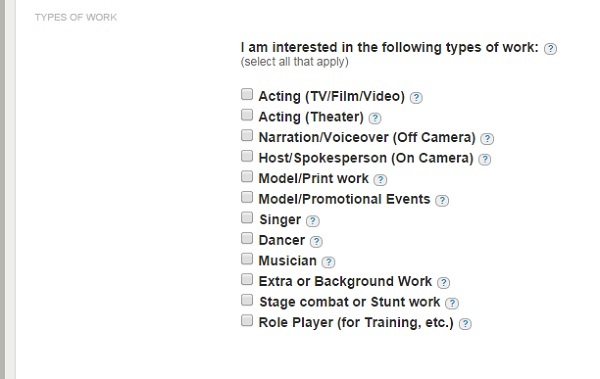 While this is an optional field, it may set you apart from other actors in the eyes of potential employers. Be short, positive, and to the point. The next section is Types of Work. As the section title indicates, select all the checkboxes for all the types of performance work you’re looking for. If you’re unsure, click on the help icon for a more detailed description. Your preferences will aid potential employers in looking for you and, with future updates to the site, will allow you to sort through projects as well. While the payscales are general, actors have found it useful during the in-person Stonehenge auditions. One of the things you’ll notice is that while there are options for “Pro-bono” work and “Deferred Pay,” there is not an option for “credit and copy.” If you want to work strictly for free, there are other sites where you can find those casting notices. We expect you’ll find the widest pay ranges within the “Low Pay” and “Commercial/Market Rates” categories. When submitting to a project, you should always feel free to ask the producer for details. If you’re not satisfied with their answer, you may not wish to submit yourself for consideration. Any producer posting on Stonehenge knows we stress these points with actors. We’ve broken up both the SAG-AFTRA and the Equity (AEA) into two broad categories. 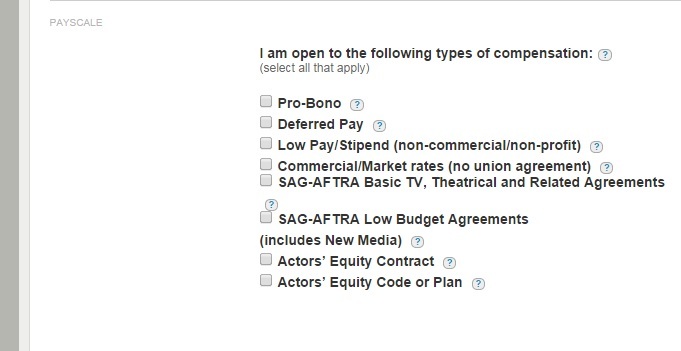 Essentially, one category includes agreements that have established minimums while others allow for more flexibility (including some SAG-AFTRA agreements we know allow for deferred pay). A big part of Stonehenge is letting potential employers find the performers they need easier. We’re happy to add this page to help you as well. Once you’ve made your selection, click “Save and Continue” and you should go to your Contact Information.